The tour will show you the amazing colonial city built on the foundations of the Inca palaces. You will visit the Koricancha or Temple of the Sun, where you can appreciate the incredible masonry of the Incas, the Plaza de Armas and the Cathedral with its carved woodworks, altars and paintings. Then you will be driven to the Inca fortress of Sacsayhuaman, to the underground cave and temple of Kenko, Puca Pucará and to Tambomachay, known as the Baths of the Inca. Special Sacred Valley of the Incas. The first stop will be the Salt Mines of Maras, also called Salinas de Maras, these salt-mines have been used since the Tahuantinsuyo. The people channel the salt water that bubbles to the surface from a spring called Qoripujio towards men-made wells. From the exposure to the sun, the water evaporates and the salt remains on the surface to be transported later to the market to be sold. The view of this complex of nearly 3000 wells is spectacular. Sometimes the local people happily demonstrate the ancient techniques to visitors, even allowing them to participate in them. We will continue to Moray: there are slightly elliptical agricultural terraces, that the people call “muyus”. The largest structure is 45 meters / 148 feet deep, and the average height of each terrace is 2 meters / 3 feet. Many think that this place was an important agricultural experimentation center for the Incas. Departure of your rail coach through an amazing route. Upon arrival transfer to your hotel. 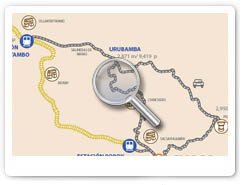 You will be transported by bus to the top of the mountain (approximately 25 minutes ride). Start your guided tour to the hidden gem of the Incas: Machu Picchu Citadel. Machu Picchu Sanctuary is one of the most renowned examples of Inca architecture, surrounded by lush cloud forest. Lost in history, it was not discovered until 1911 by the American explorer Hiram Bingham. 2 nights in Cusco City including breakfast. 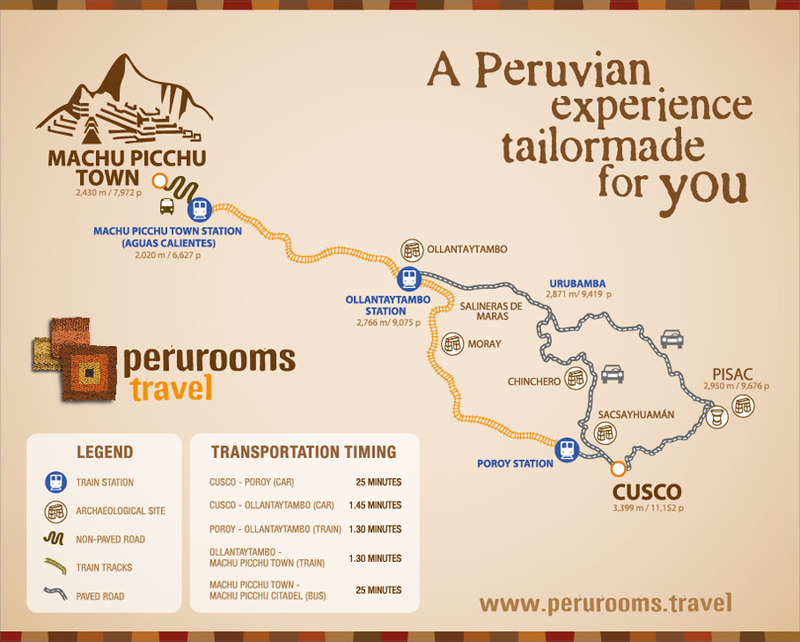 1 night in Machupicchu Pueblo (Aguas Calientes Village) including breakfast. Train tickets round trip / Entrance to the Citadel (only for 1day) / Round trip Bus to Machu Picchu Citadel (only for 1day). - OTHERS NOT specified in the program.